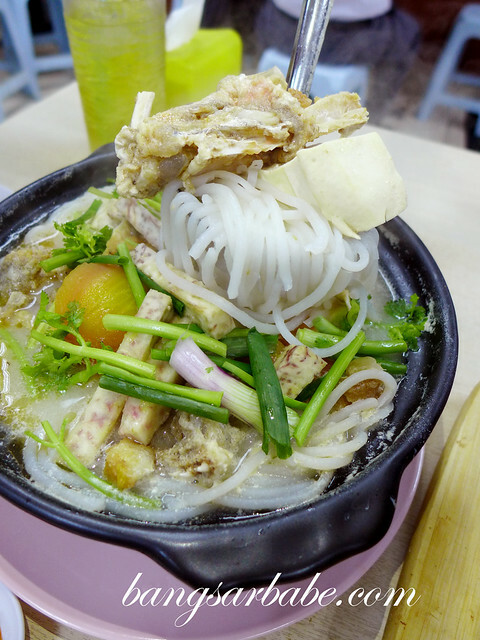 rif has been talking about the XO fish head noodles at Goon Wah in Kuchai Lama which opens only during weekdays from 9am to 3pm. Seeing how I’ve been up to my eyeballs at work, I never got the chance to check this place out until a few weeks back. 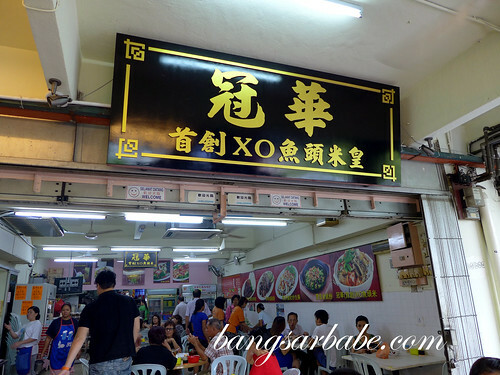 Goon Wah is a no-frills restaurant that is known for their claypot fish head noodles laced with XO. Served bubbling hot, the noodles came with yam slices, fried fish head, tofu cubes, tomatoes and salted vege. I couldn’t quite taste the XO, but the noodles were quite decent. Not overly milky with a good balance of savoury and tangy flavour. 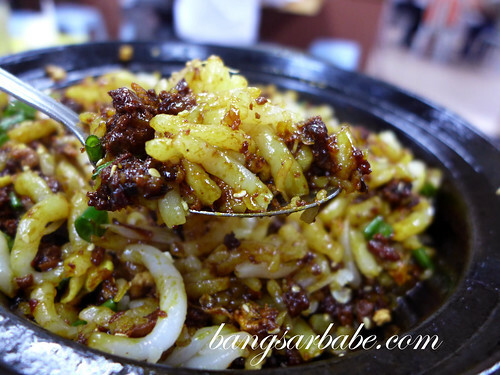 I actually enjoyed the claypot loh shi fun better. 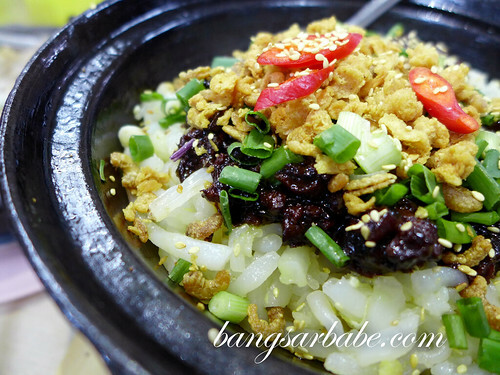 This came topped with a generous amount of minced pork, pork lard and dried shrimp. 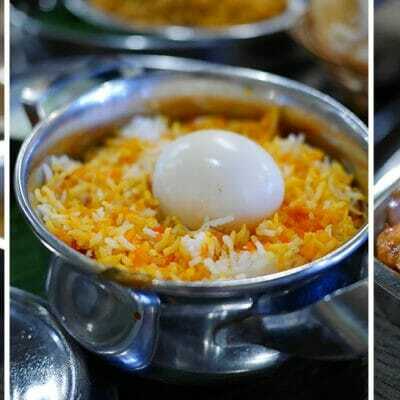 You basically mix all the ingredients together and dig in with the sambal chilli for extra oomph. My father in-law didn’t like this as much as rif and I did though. Also good was the stewed pork belly with yam slices, served with steamed mantao buns. 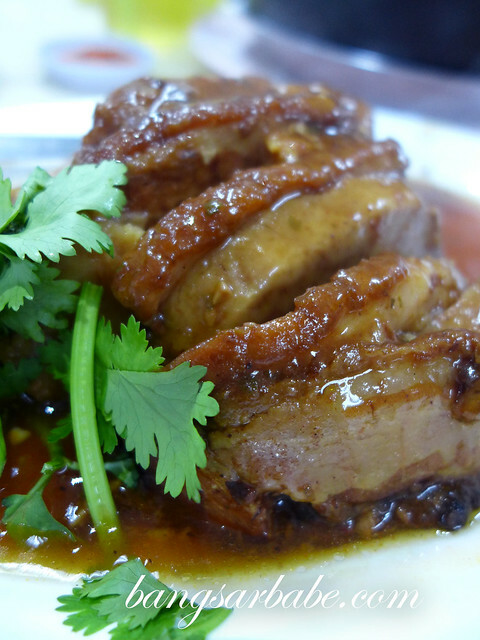 The pork belly was meltingly tender with a creamy layer of fat – good stuff! Even the yam slices were well flavoured by the gravy. The plate was wiped clean. Despite the full house, service was quick. We got our food within 10 minutes. 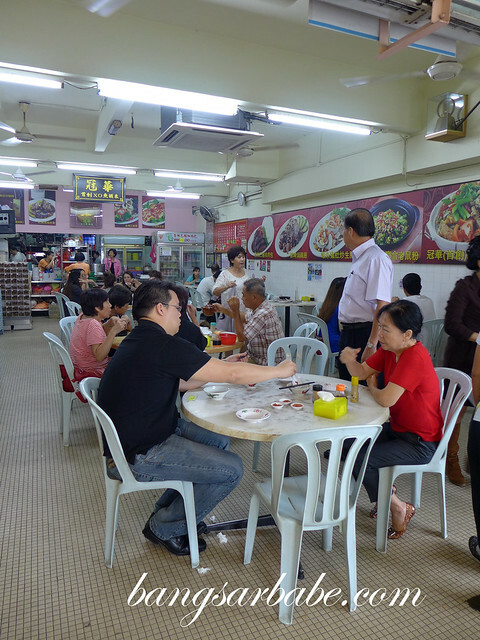 The restaurant occupies two shoplots – one with air-conditioning and the other without. 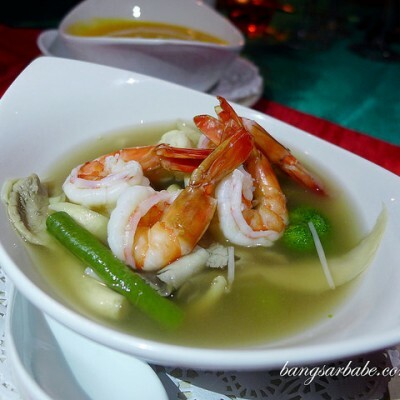 Lunch came up to RM56 for the above, inclusive of drinks. Verdict: Pretty good food and quick service. i’m a huge fansi of fish head noodle! wanna try the XO version! but is it expensive? Now Goon Wah Claypot fish head noodle has opened at SS two mall at Jalan ss2/72. The one facing the houses. Open 10 to 10 for 365 days. I have seen the master chef at this sstwo mall.